Economics is the study of how markets and economies operate and the role of government in an economy. The discipline is traditionally divided into microeconomics and macroeconomics. Microeconomics is the study of the behavior of individual consumers and firms, how they interact in markets, when markets succeed and when they fail, and when government policy should intervene. Macroeconomics is the study of economic outcomes at the aggregate level and typically consists of the study of economic growth, inflation, unemployment, monetary policy, and the business cycle. The study of economics requires the mastery of theoretical models of consumers, firms, markets, and economies, as well as practical questions of economic policy. 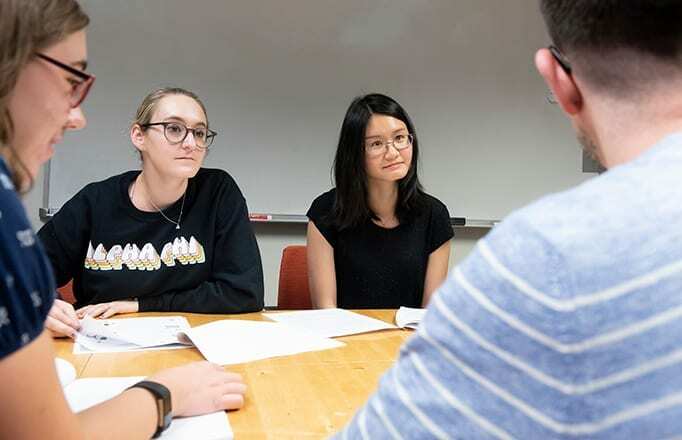 Mastering theory and practice enables students to be educated and informed citizens who can understand public economic arguments over proper government policy. The discipline offers powerful insight into which policy tools are likely to be more effective and which are actually counter-effective. Economics also requires mathematical and statistical skills. Quantitative reasoning must be combined with an understanding of consumers, firms, and markets to reach correct conclusions. Learning how to communicate economic ideas effectively and clearly to others is another important goal of economics at Johns Hopkins. Economic arguments can seem complex, and expressing those ideas is an important skill regardless of the occupation or industry a student may later pursue. The Economics Department offers a major, a minor, and a minor in financial economics through the Center for Financial Economics. Many students who take economics courses major in other disciplines as well. Economics students go in a variety of directions after graduation. While some go to graduate school in the discipline, many others go to other professional schools, where an economics training is valuable, such as law school or medical school. Others go into the workforce, sometimes in the areas of finance, banking, private industry, or government or public service.